It was one of those usual heavily packed train in the harbour line of the city’s lifeline, the Mumbai local train. From GTB Nagar I reached Masjid, the second last station only before, the Chatrapathi Shivaji Terminus (called CST by Mumbaikars and VT or Victoria Terminus by last generation). From Masjid station it was a taxi ride to Mahalaxmi Mandir, the famous temple. It is a very new temple just built in 1785, located at the beach. With my set of mentality which doesn’t relish new temples, I didn’t enjoy the place much. Being a major tourist attraction in Mumbai, it is always a tight security zone. After body and handbag checkup, I went in. The crowd was less and I could get a good darshan. Just behind the shrine, was the typical ‘if your rupee coin sticks, the wish will come true’. I didn’t even try. After buying ‘prasadam’ to be distributed among friends and family, I came out. I didn’t even want to visit Siddhi Vinayak, yet another modern temple, which is again a high security region. I left to Haji Ali. 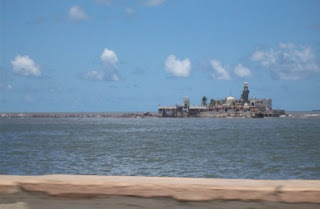 Even since, I saw heartthrob Hrithik walking over to the dargah in Fiza with the bgm of the famous Qawali “Piya Haji Ali’, I had this severe crush on Haji Ali Dargah. And when I got a chance, how would I let it slip away. People said it was at a walkable distance from Mahalaxmi. I walked it up. It was a 20 mins walk in scrotching sun at 12 noon. I walked it up. Again here too, like everywhere else, after passing through the security check up, I entered the Dargah Road, and I walked up through the market. With skull caps, chaddars (blankets to be laid on the shrine), prasadams (I dunno what is it called in Islam), Holy threads, Pics, Holy Qurans, and lots other things from car decors, home decors, key chains that could be taken as a memento. My idea was to get a darshan first, so I just kept walking past the market area. Then came the scenic region. The long pathway, around half a kilometer, to the Dargah, through the sea. The view itself was breathtaking. 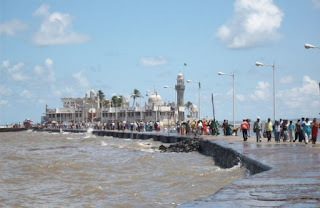 According to the legend, the Saint Haji Ali departed this worldly life during his journey to Holy Mecca and the casket carrying his body floated and sailed all the way to Mumbai to this place where the dargah stands today. This Dargah was built in 1431. The path had to be walked with great care. High heels would easily slip. Sturdy, water proof footwear is a bare essential to walk up this place. Or just bare feet with do the trick. And another fact is that this place has to be visited in spring or summer. Monsoon is a big no no. Well, even if you did, it would be impossible to reach the Dargah, with water covering the pathway completely. There were people all the way. Some who keep singing the holy hymns of Allah. 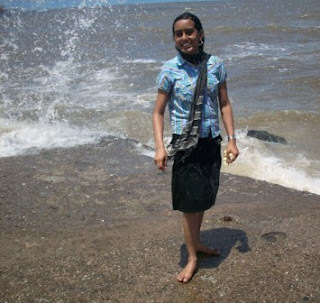 It is believed that some diseases can be cured by the sea water which keeps splashing all the way. Some handicapped people could be seen all the way. The roar of the mighty waves were fascinating. I just loved the walk way. The way the waves dashed the pathway and scattered high up in the air and then sprinkled down. Wow, an excellent treat to eyes. Then as I reached the Dargah, it was again a soul stirring moment with the devotional qawalis playing always combined with the mighty roar of the waves, being there itself was a way to feel the attachment with the universal one. The white Dargah was covered with several, umpteen shawls and scarves. It was so colorful and lively. But unfortunately, it was day of shooting at the Dargah with the entire camera and lightings fixed everywhere which absolutely disrupted my enjoyment. People were surrounded to see the cast and crew, of which I was least, bothered. I seriously wished they weren’t there, whoever it was. I went inside. 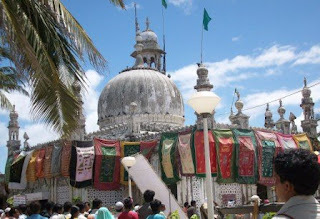 It was the Haji Ali shrine covered with several layers of shawls and softly stroked with the peocock feathers. It was that stroke with the peocock feathers that was a blessing to the devotees as well. I got the blessings and walked and roamed all over the place. I sat there for some time, absorbing the blessings and observing the devotion. Then, it was around 2 pm when I thought of starting back again. I walked back again in that long pathway. People told me it was a high tide day and from 2 pm the sea waves are freaky. They were indeed. It was far fiercer than my forward trip. The height of the splattering waves was around one and a half times than me.!!! It was a great feeling to be rinsed and showered by the waves taller than me. And as I walked back, it was a memorabilia time. I got a little Holy Quran. It was absolutely little, 2 cm x 2cm x 0.5 cm. I bought 2/3 of those to gift my near and dear ones. Also, I got loads other little things of interest. Then I gave my ‘Miss U’ look to the wonderful place, and then got a taxi and then Mumbai Lifeline to reach back home. Mumbai Autos and Taxis run in metre fair. Sometimes it makes me wonder. Why do we go to temples or other places of worship? What forces us to go over there? The chasm between science and religion seems to be growing inorganically for me. I guess, religion was 'invented' to reduce chaos. Ironically, we are abusing them to increase the chaos. Going to temple or going to a bar is one and the same unless we ask what propels you to do it. Its a nice article BTW. 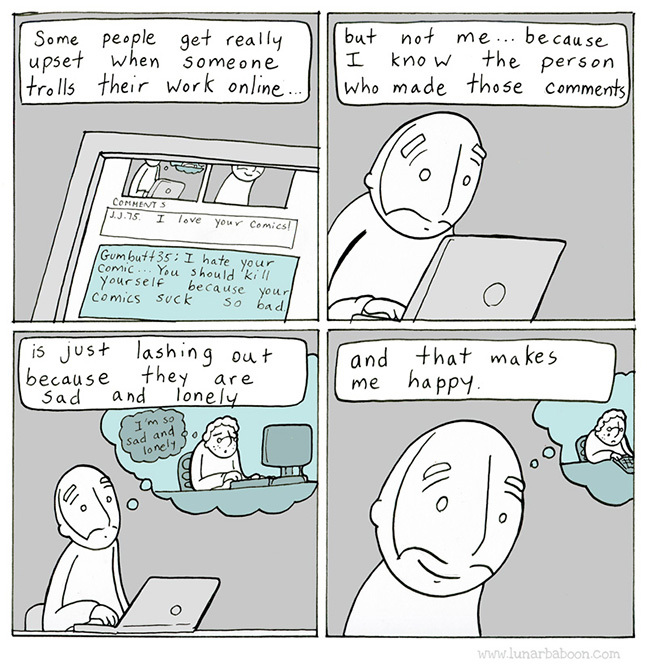 Makes me to think. Good going. Keep them coming, B. That is true. Absolutely true. So, tell me. What propels u to go to bar. I know u don't go to temple. You really are a travelling geek ! From Malaysia to Mukkombu to Mahalaxmi in double quick time. Keep it up. Mahalaxmi & Haji Ali are two of the oldest landmarks in Mumbai and any visit to Mumbai is incomplete if you do not visit these places. Other places to visit are CST, Crawford Market, Hornsby Road,Colaba,Marine Drive, Gateway of India,Taj Mahal Hotel(scene of the recent terrorist attack)Hanging Gardens & the shoe house,Juhu Beach, Chowpatty Beach and of course to eat bhelpuri, panipuri(or golgappa as they call it in Delhi) and the famous Chandu Halwa. 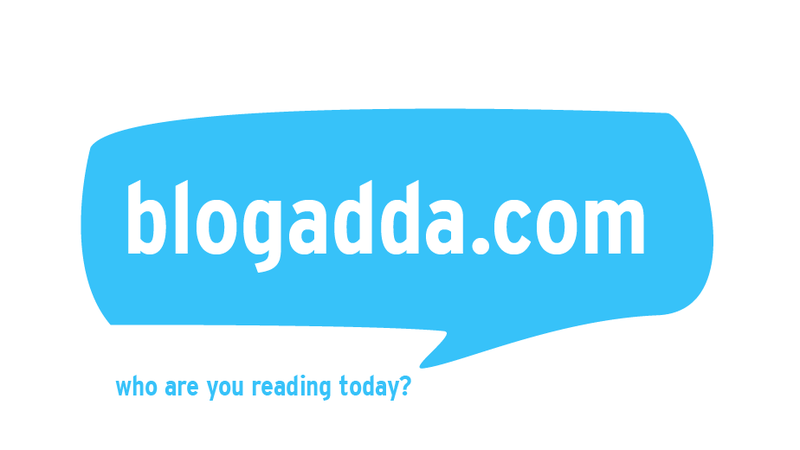 I spent some of my younger years in Mumbai(late 1950's) and always remember my times with nostalgia. I've visited CST, Crawford, Marine Drive, Juhu Beach (at post midnight, 1 am... :D), and eaten all Chat items and the speciality Vada Pav as well... Loved it all as well... Will write soon about Juhu beach and Marine drive..
i have made a trip to the dargah and found the beggars as the most irritating part of the journey.. but i never had a seas to help me make my experience remembered...it was a real hot day with calm seas..
hey... i just went to Hogenakkal water fall yesterday...simply superb..
Long time. No C... So sad u couldn't enjoy Haji Ali so well. Its a beautiful place. One of the serence places in Mumbai... Do make a visit..